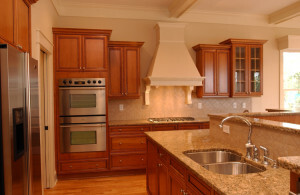 Healthy House of Georgia builds custom and customized homes in Atlanta’s most historic Intown neighborhoods. We work closely with you to build a home that suits your lifestyle, blends seamlessly with existing homes in the neighborhood, and takes advantage of unique lot features. Founded by Dennis McConnell, who has over 25 years experience with Intown building, we have developed the knowledge and relationships necessary to make building your home a pleasurable experience. Whether we provide the lot and architectural drawings or build on your lot with your plans, there are many different levels of ‘custom’ available. We build to suit your lifestyle. Do you work from home? Do you do a lot of entertaining? Need a ‘quiet room’ for teenagers and their friends? Are you a book hound? Our special touches make your house a home. And we can customize to your budget, as well. Dennis McConnell has built homes for every size family, in every stage of life, for a wide range of budgets. Typically you can build your dream home starting in the high $300’s and going up to well over a million dollars. Either way, you receive the same level of service, the same attention to detail.